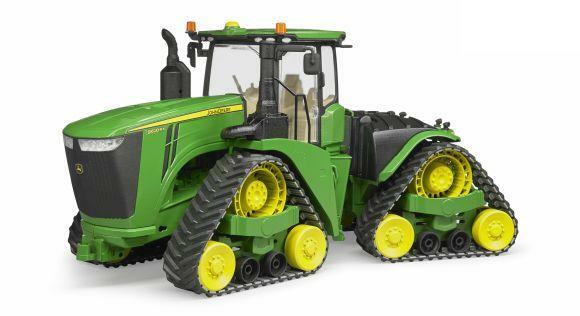 To add to the fun of playing, it can be combined with all tractors of the Profi series and the bale wrapper (BRU02122) and the round bales (BRU02344). The Claas Rollant 250 round baler with hinged hay pick-up is driven by roller feeders. The side cover and rear press can be opened. 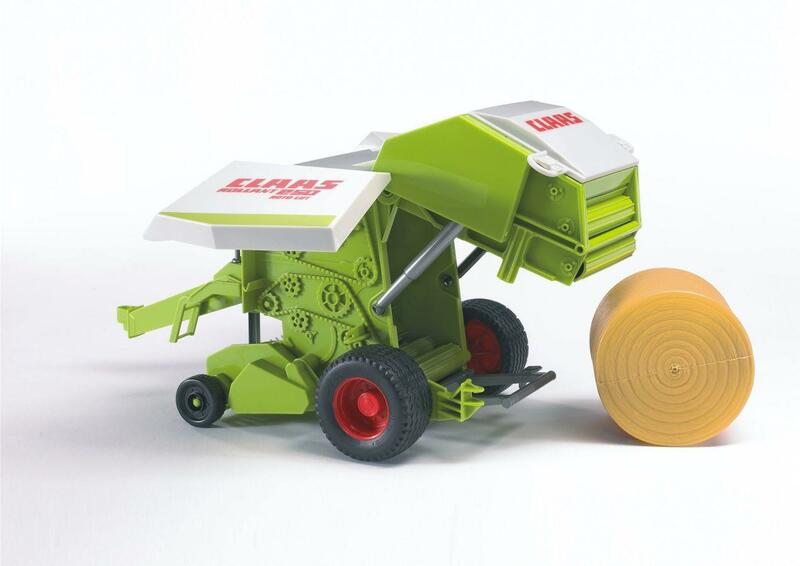 The inserted bale is automatically ejected by actuating the depository rocker. 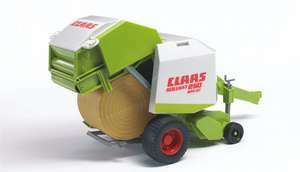 The bale wrapper can be attached via a drawbar coupling (bale wrapper not included). One round bale included and tread tyres round off the image. Product arrived in a timely manner and in pristine condition. Fantastic quality and detail. Our 4yr old loves it! Very good description and exactly what was wanted.